July 8, 2013  The Indonesian men caught a tiger cub in a snare meant for deer. Other tigers heard the cub's cries. 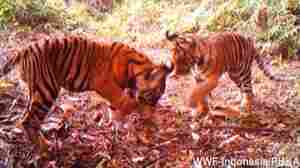 One man died after his branch broke, tossing him to the ground, and the tigers attacked. The other five managed to hold out — and hold on — until help arrived. 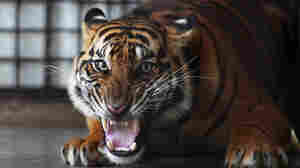 November 22, 2011  Fewer than 3,200 tigers exist in the wild. Photographer Steve Winter traveled to Asia to document their perilous situation. 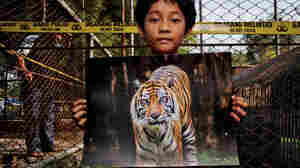 May 9, 2011  The images show why the Indonesian government needs to fulfill its pledge to protect the tigers' habitat, the World Wildlife Fund says.